We have several bolts of high quality toweling from Moda, finished on both sides and only need to have the top and bottom sewn after you've completed your embroidery designs. 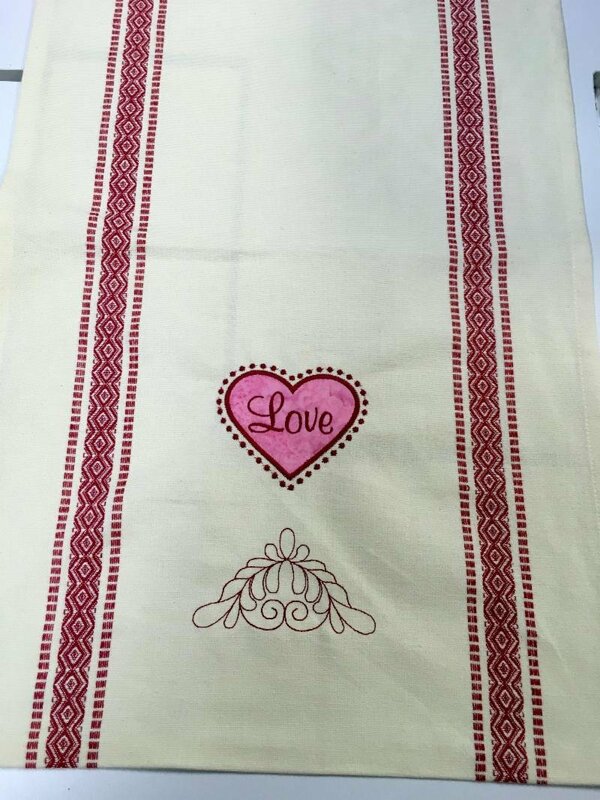 Your choice of designs from several available included as well as one yard of toweling. Call to reserve your spot, limit six. Includes designs and one yard of toweling!